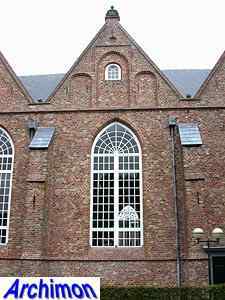 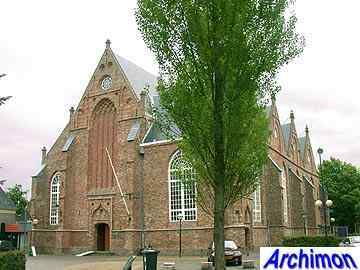 As the second part of the name suggests, this is the former church of a monastery, a dominican monastery to be exact. 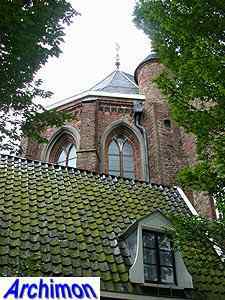 Ever since the Reformation, when the monastery was closed, it has been the city's major protestant church. 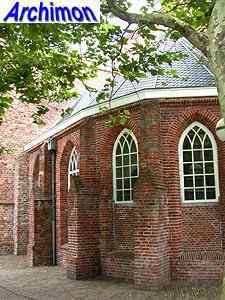 The church was built between ca. 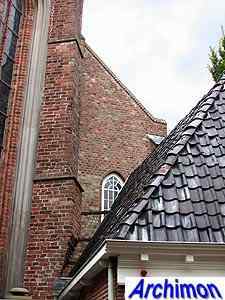 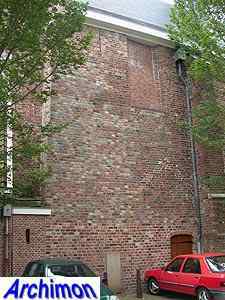 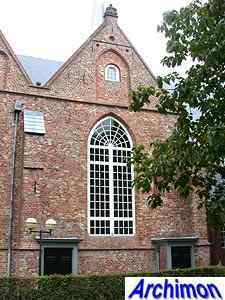 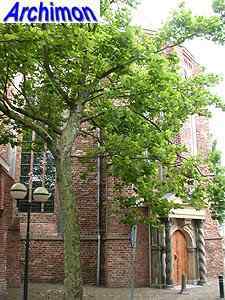 1275 and 1310, which means it is the oldest building of Leeuwarden. 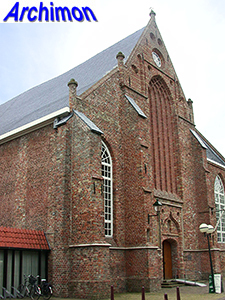 The original church roughly consisted of the current choir, the three eastern traves of the nave and the narrow northern side-aisle, which originally was without windows. 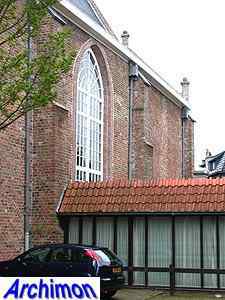 In the late-15th century the wide side-aisle on the south side was added, at that time still consisting of three seperate chapels. 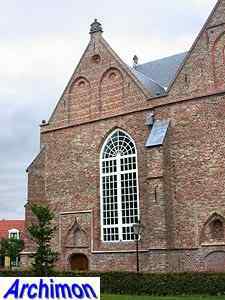 This part of the church was completed in 1504. 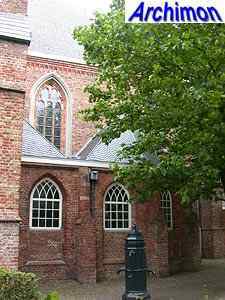 Between this side-aisle and the choir a chapel was built from 1504 until 1515. 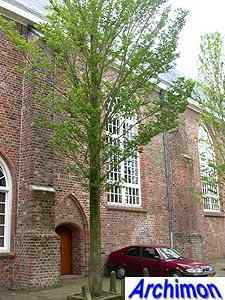 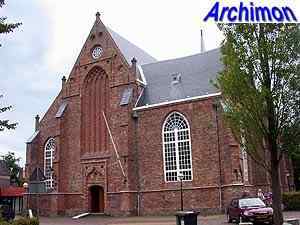 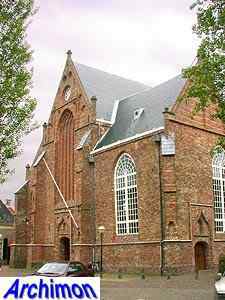 After that, the church was lenghtened with another trave on the western side, which was finished in 1521. 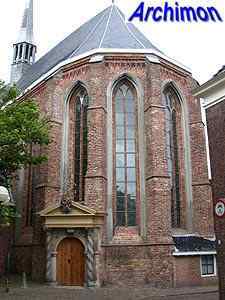 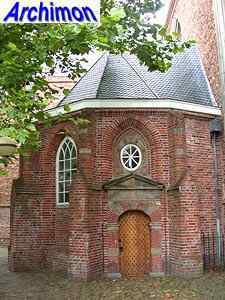 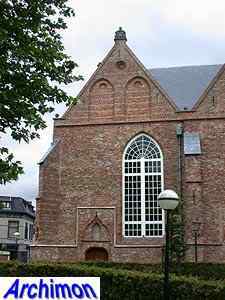 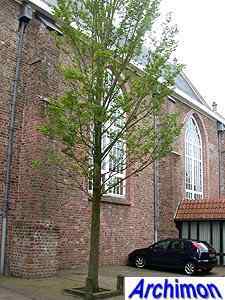 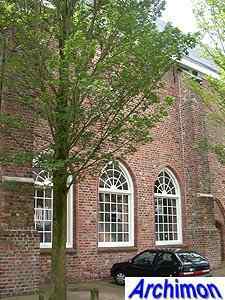 In 1588, after the protestants had confiscated the church, the choir became the tomb of the Frisian branch of the Nassau family, the ancestors of the current royal family. 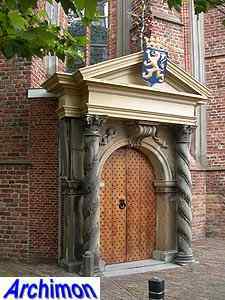 In 1662 a portal in Classical style was added to the choir, especially for members of this family. 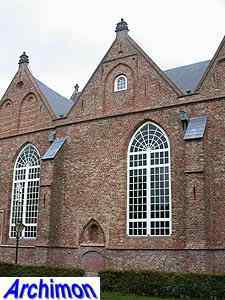 In the early-19th century windows were added to the northern side-aisle.